Thank you to everyone at Goondiwindi State High School it was an amazing experience to share my workshops as part of your Expressive Arts Week. Your Expressive arts week is such a great idea for the kids to experience a variety of arts and culture from around the world. 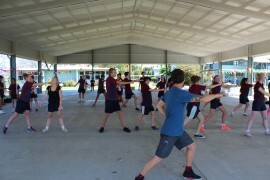 Teaching Tai Chi to the children of Goondiwindi State High was an amazing experience the children really took the teachings and stayed focused throughout the class. By explaining what tai chi is, where it comes from and the benefits of practicing this internal martial art the children knew what to focus on during the class. After practicing tai chi movements, playing pushing hands and leg fencing the class was ready to compete. 2 children would come to the middle of the circle and compete to be the winner in ‘Pushing Hands’ a game focused on stability, strength and reactions. The class finished with Chiqong breathing exercises and 5 minutes of mindfulness meditation focussing on them-selves and listening to their own body, a practice I believe we all don’t spend enough time on. Thank you also for having Energy’s fire performance at the schools ‘Flaming Poetry’ evening, the children and parents had some really nice feed back and I enjoyed every second of the show. The real heroes at the schools expressive arts week are the teachers who organise and put all of their time and effort into creating a fun and educational week of madness and laughter. Thank you Goondiwindi, I hope we have the chance to have some fun again one day soon. 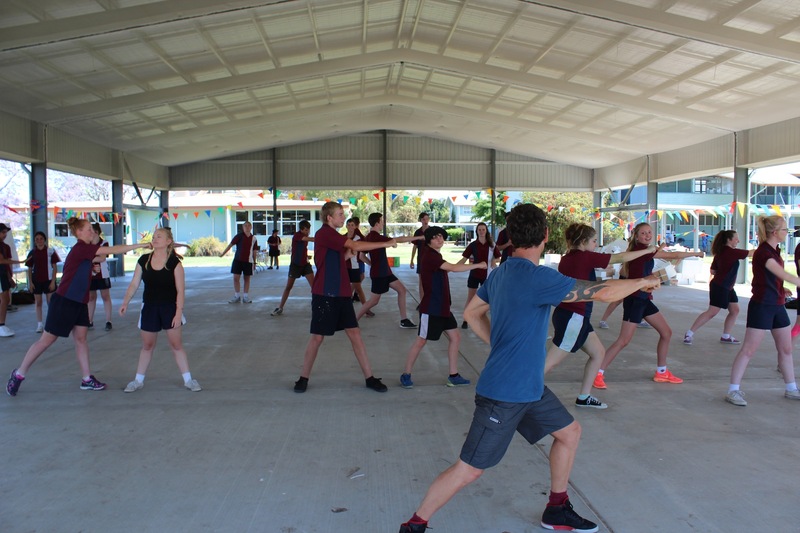 Kung fu, tai chi, team building, circus skills and much much more!